Gaucher disease is a genetic disorder that affects lysosomes, which are spherical compartments inside your cells that function to digest molecules and remove waste. They do this by producing certain enzymes that break apart molecules so, in a sense, lysosomes are like little stomachs for your cells. One of the enzymes is called glucocerebrosidase and its job is to break down certain biological chemicals called glycolipids. Glucocerebrosidase is produced using instructions that are encoded in a gene, of which your cells have two copies, one that you received from your mother, the other from your father. As long as at least one of the two copies of the genes is normal, you can produce enough normal glucocerebrosidase to keep all of your cells healthy. This makes Gaucher disease what geneticists call a recessive condition, a condition that occurs only if two abnormal gene copies come together in the same individual. The problem comes in if a child is born with two abnormal copies of the glucocerebrosidase gene. There are hundreds of different mutations known to affect the gene. The different mutations vary greatly in how common they are throughout humanity and among different ethnic groups, and they also vary in terms of which types of body cells and tissues are affected. This, in turn, affects the symptoms and other consequences of the disease. Although numerous different mutations affect the glucocerebrosidase gene, Gaucher disease is classified into three main types –Type I, Type II, and Type II– based on the body organs that are effected and the severity and timing of the course of the disease, plus each type is divided into different subtypes. Type I Gaucher disease is the most common in Western countries overall, but it is especially common among Ashkenazi Jews, meaning Jews whose ancestors lived in central and eastern Europe. About 1 per 15 Ashkenazi Jews carries a Gaucher type I gene copy. However, since you need two abnormal gene copies to have the disease, 1:15 ration for carrying the gene results in a disease prevalence of 1 case per 855 Ashkenazi Jews. This may sound rare, but it is much more common than in the non-Jewish population, where the prevalence is 1 case per 40,000 people. The main characteristic distinguishing Type 1 Gaucher disease is that lysosomes in brain cells function normally, so development of the brain is normal. However, people with Gaucher Type I develop problems in the liver and spleen, which enlarge due to glycolipids accumulating in cells of those organs. Glycolipid accumulation also harms bone cells, and cells in bone marrow, leading to anemia and bleeding disorders. Type II Gaucher disease, which is quite rare, is also called acute infantile neuronopathic Gaucher disease, because its rapid development central nervous system (brain and spinal cord) problems that usually lead to death by age 2. Type III Gaucher features problems in various organs, such as bones and the brain. 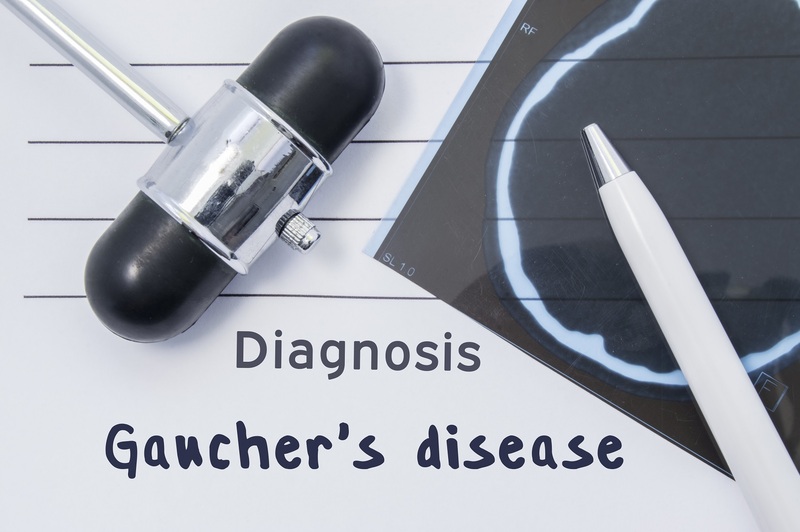 However, since the brain problems develop much more slowly compared with Gaucher Type II, Type III is also known as chronic neuronopathic Gaucher disease. This is the most common type of Gaucher disease in Asia, the Middle East, and the Pacific Rim, which also makes it the most common Gaucher disease type overall. There is a particular subtype of Gaucher disease type III that occurs most commonly in people from the Norrbottnian region of Sweden. Because the different types and subtypes of Gaucher disease result from different mutations of the glucocerebrosidase gene, the symptoms and severity differ widely. With Type III, for instance, the form that the disease takes varies widely between Sweden and the Middle East. As for how Gaucher disease can affect your pregnancy, one big issue is that it can exacerbate anemia of pregnancy that usually would be mild. Gaucher disease can cause severe bleeding after you deliver, because the effects on the bone marrow cause you to have low numbers of platelets. Pregnant women with Gaucher disease also have an increased risk of spontaneous abortion (miscarriage) and infections and, if the liver and spleen are enlarged, the growth of the fetus can make your abdomen especially crowded inside. Much more common that having Gaucher disease is being a carrier, meaning that you have one copy of a Gaucher gene and one normal copy. If your partner also has the same situation, neither one of you will have the disease, but you ‘ll have a 25 percent chance that your child will receive two detective gene copies. This is true whether or not you and your spouse have the same Gaucher mutation. To be prepared for this possibility, if you and your partner both are from an ethnic group that carries Gaucher mutations, for instance if both of you are Ashkenazi Jews, you should contact Dor Yeshorim and have genetic counseling. If it turns out that you and your partner do have that 25 percent chance, then the condition can be diagnosed easily in early infancy by measuring the level of glucocerebrosidase enzyme in the baby’s blood and by doing genetics tests. If you do have Gaucher disease, or if you give birth to a child with Gaucher disease, the condition is easily treated with enzyme replacement therapy (ERT). This means that the enzyme is administered to the affected person in lieu of the enzyme that the person’s cells cannot make. ERT is not dangerous to the fetus, nor to a nursing infant.